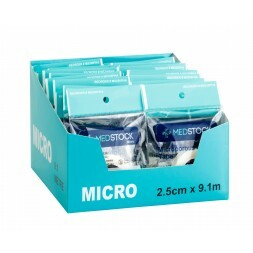 Microporous Surgical Tape Medstock Micro is a non-woven fabric tape with a medical acrylic adhesive. 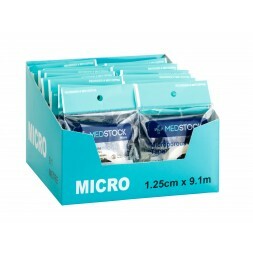 Good tensile and adhesive strength. Soft and comfortable. Hypoallergenic. High Ventilation.